First up we looked at the Nikon D3300 which is a low priced DSLR camera perfect for beginners. It can come with a range of accessories and is very versatile. This is our first choice in the under $500 range of camera. 2. 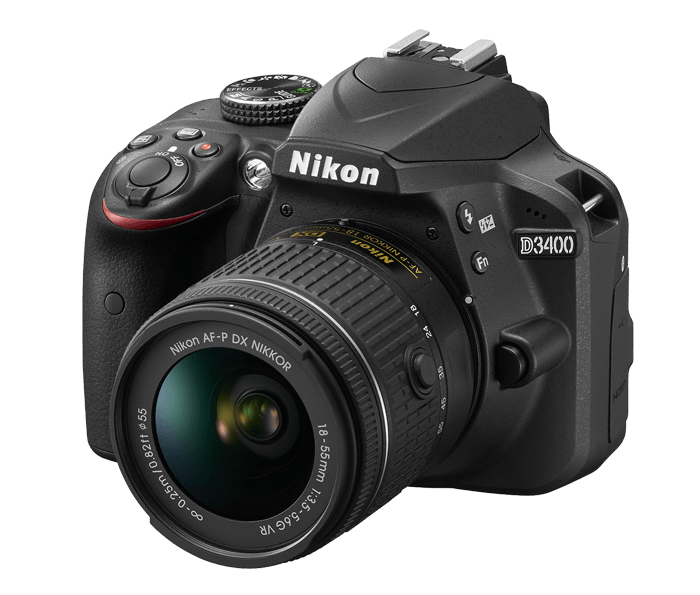 Our next choice for beginners to the DSLR is the brilliant Nikon D3400. The new edition and big brother to the D3300 we really like this camera and makes the grade for our choice for beginner DSLR cameras for under $500, lots of accessories and bundles available for this unit. 3. With the D5600 we are now stepping up in price range and therefore encroaching into the more professional range of DSLR camera. It’s also worth noting that several big photography magazines have heaped praise on this model, and it generally receives positive scores that are encouraging enough to give you the confidence to make the purchase if it’s within your price range. 4. 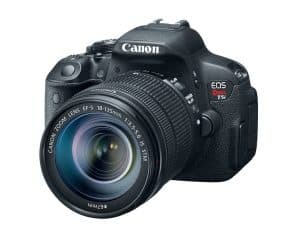 The Canon EOS Rebel T6i / EOS 750D is next on our list for review and again is a fantastic beginners DSLR camera but hits that higher price bracket but is really worth the outlay for budding photographers who are looking for great quality at a reasonable price. 5. 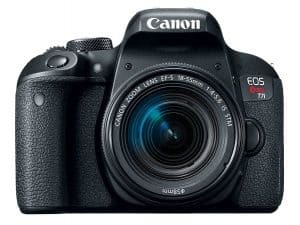 The Canon EOS Rebel T7i /EOS 80D / 800D is an entry-level DSLR camera that is loaded with features and has a polished design. It is ideal for beginner photographers and individuals wanting to have a solid, all-around camera. It is the highest priced camera in our beginner range of DSLR’s but comes highly recommended for people looking for a great camera that can match cameras that usually come in at a much higher price. When the love for photography turns from casual to serious, beginners will want to move from point-and-shoot cameras to DSLR cameras. While the former offers photography decent enough for everyday images, the DSLR camera offers much higher image quality, bigger sensors, interchangeable lenses, and far more manual control. It is close to impossible for beginner to sort through the features, functions, and price points of various DSLR cameras to make an informed choice. The following few paragraphs will try to simplify the process of buying and help you decide on the best DSLR camera for you that meets your needs along with your budget. – Batteries: DSLR cameras usually come with a single battery, but you might require a spare if you like to travel. – Memory Cards: DSLR cameras usually come with a memory card, but you are likely to find it insufficient due to its size. You will probably want to upgrade to at least a 1 gigabyte card. – Camera bag: If you are fortunate enough, the dealer may throw one in, but you shouldn’t expect it to be of good quality. Invest in a proper bag since the DSLR is a worthwhile investment. – Filters: It is important to get UV filters for all the lenses you buy, but it can also be a good idea to consider other types later on too. – Extended Warranty: The debate still rages on about whether or not it is worth buying an extended warranty, but it is something worth considering. The sensor size is one of the most important considerations when choosing a DSLR camera, but most people are not aware of. 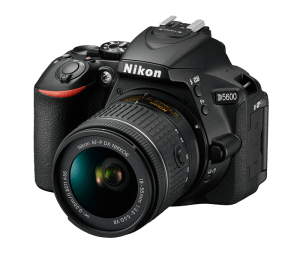 A DSLR camera contains an image sensor, which is responsible for recording the image you see through the viewfinder and sends it to the memory card. The larger the sensor, the more information it is able to capture and the clearer the images will be. When you head over to the camera shop to buy a DSLR, the first thing that the salespeople are likely to ask you is about the photography you plan to do. It is worth asking yourself what you plan to use the DSLR for up front since it will help you think about the accessories and features you will need. Is it for sports photography? Do you plan to travel with the camera? Is it just a general purpose camera? Is it for Low Light Photography? Is it for Macro Photography? Prepare a realistic list of the photography you plan to be using it for. DSLR cameras tend to be more sizeable than point-and-shoot cameras, but a fair amount of variation exists in terms of size between them too. While some photographers don’t mind carrying weight gear around, it can be a good idea to choose small and light models if you plan to do photography on the go. The great thing about DSLR cameras is that they are in many instances compatible with some of the gear you might already own. This is particularly true when it comes to lenses. Chances are that if you already have a film SLR, then those lenses might be compatible with a DSLR from that manufacturer. However, you shouldn’t assume that all lenses will be compatible, but it is worth asking the question since you could enjoy considerable savings. If you already own a point-and-shoot camera, it can be a good idea to check the type of memory it takes since some DSLR camera models might also be compatible with them. While this probably will not be a major consideration since memory cards are now quite affordable than was the case previously, it could still be a factor to consider. The number of megapixels the DSLR camera has is an important consideration if you are looking to buy one. DSLR camera come with a wide variety of megapixel ratings. Megapixels typically come into play once you consider how you plan to use the images. If you will be printing enlargements, more can be good, but if you will be printing in small sizes then megapixels are not such an important consideration. Will you be able to upgrade your DSLR in the future? While an entry-level DSLR will be attractively priced, it is likely to date more quickly than a higher end model and you risk outgrowing it as your expertise grows and your thirst for professional features grows too. Ask yourself questions pertaining to your current level of expertise in photography as well as whether you are a person that first learns how to master something before moving to a higher model that provides more features and control. The current range of photographic equipment in the market is more diverse than ever before and it can be a challenge to find the right DSLR camera for beginners. The number of variables between cameras is huge, even when they are from the same manufacturer. The information and tips provided here should help you know what to take into consideration when looking to buy a DSLR camera for beginners so that you find one that matches your budget as well as your needs.